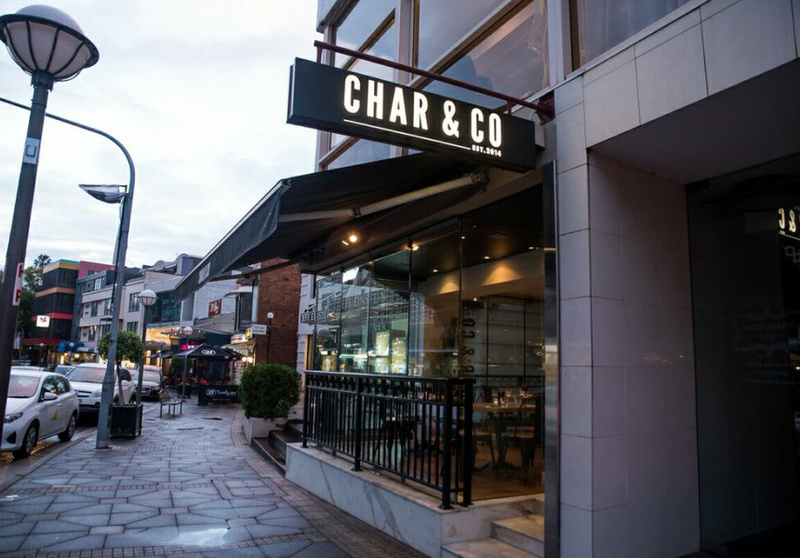 Char & Co. is by Brazilian-born chef and restaurateur Bruno Da Motta, also of Crows Nest’s BahBQ, opened in 2010. The interior is sleek and sophisticated, with timber accents reflecting the importance of wood in the barbequing process. For a smoky aroma, he uses ironbark and natural charcoal. Tender slices of marinated meats are served with zesty salsa such as chimichurri or pico de galo. 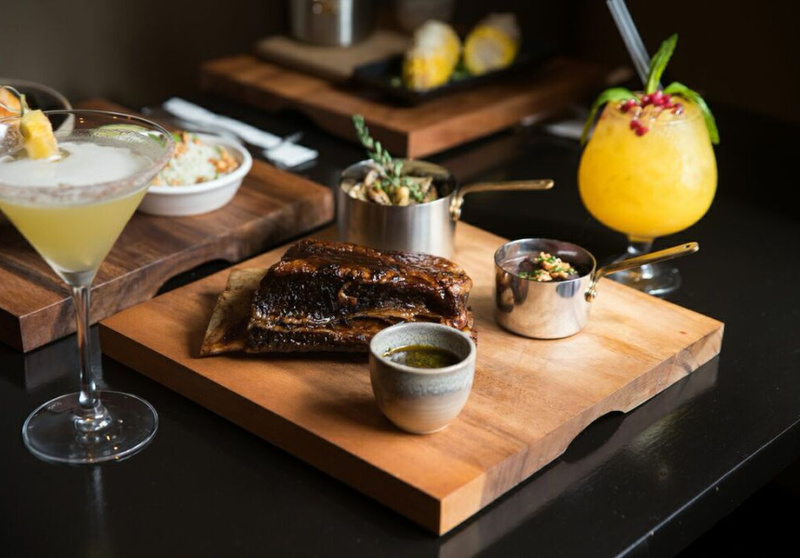 The churrasco is a set menu with meats, salsas and sides. 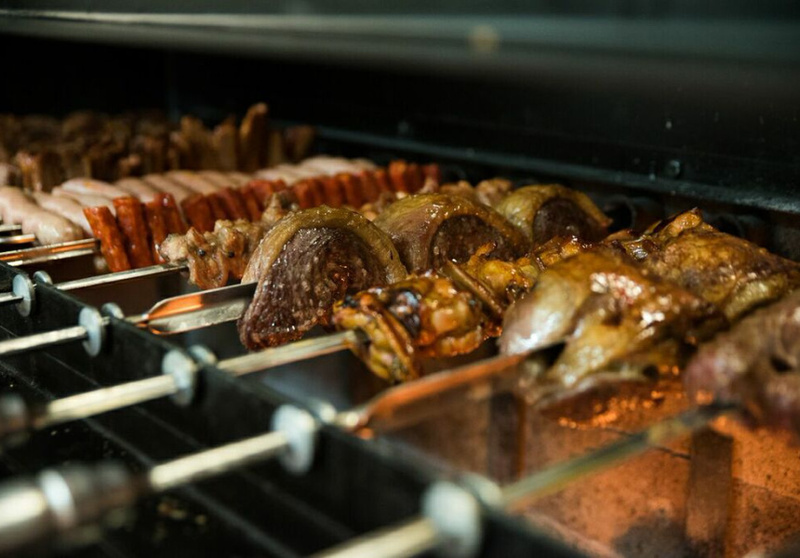 After being cooked on the rotisserie over the ironbark, pieces of beef, pork, lamb, chicken, seafood and sausage are served to your plate from skewers. Sides include polenta, cheese bread and cassava (a Brazilian root vegetable). The a la carte menu features grilled Yamba prawns with chili and herb butter. The moqueca, with barramundi, prawns and mussels in a fragrant coconut, coriander and chili broth, is somewhere between a curry and a stew. The jalapeno peppers prove that stuffing anything with goat’s cheese is always advisable. For dessert, try churros dunked in warm chocolate and dulce du leche. There’s a good selection of South American and Australian wines, with shiraz being the logical partner for the churrasco. Or for cocktails, go for the passionfruit, chili and basil caipiroska.